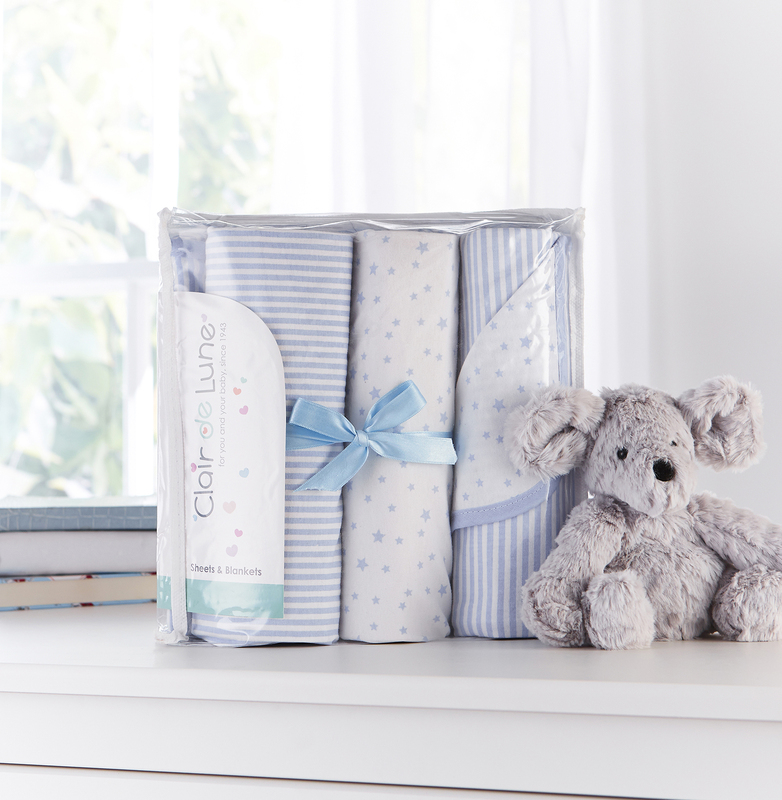 New from Clair De Lune comes this beautifully soft selection of moses basket sheets and blanket, tastefully presented in attractive packaging to make a fantastic gift for any new mum to receive. The set includes a reversible fleece blanket and 2 x 100% cotton fitted sheets which feature a slight stretch for easy fitting to your baby's moses basket mattress. After all, you can never have enough sheets and blankets in baby's nursery!